During 2009 there were 14 international tournaments which made up the ITTF Pro Tour and all the results of the Grand Finals are here. 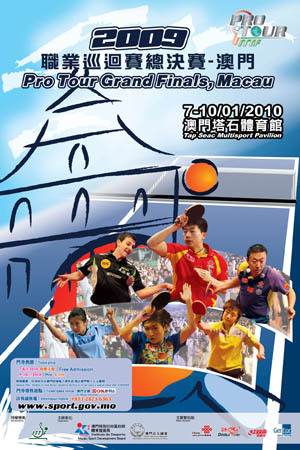 The 2009 ITTF Pro-Tour consisted of 14 international tournaments leading up to the Grand Finals held in Macao, China. 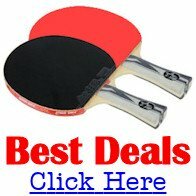 So what were the tournaments which made up the ITTF Pro Tour in 2009? The prize money varied from tournament to tournament, but the overall purse for 2009 was $2,783,880. Some of the events were designated as premier events, such as Kuwait and Qatar, and they both offered a total purse of $300,000 ... with the men's and women's singles winners receiving $30,000 each. The top event, the China Open in June 2009, offered a total purse of $330,000 ... and the men's and women's singles winners received $33,000 each. Although Wang Hao and Zhang Chao had accumulated sufficient Grand Prix points, they didn't meet the additional qualifying criteria of competing in at least five tournaments or playing on at least three continents. Additionally, Jun MIZUTANI, Vladimir SAMSONOV, Michael MAZE and Kaii YOSHIDA elected not to take part.